As a young girl, my father used to tell me I could be anything I wanted to be. In fact, my earliest memory of this dates back to when I was 5 years old. I remember sitting on his knee, sharing popcorn and watching Sunday afternoon football. He would say, “you know you could even be the quarterback for the Pittsburgh Steelers someday…” and he would point to his favorite player, Terry Bradshaw as if to suggest I could be him. As I grew older, my father’s words became my inner voice. Dad worked up the ladder of university academia as we worked our way from state to state. I quickly learned how to re-invent myself with every new school. By the age of 9, I had called five states my home. Fourth grade was split among 3 different schools. Fifth grade was a new school. Sixth grade was a new school. And seventh grade was a new school. Stability found me in eight grade and that’s when I started feeling more grounded. That’s when I started putting myself out into the world in a new way. I continued to challenge who I was as I ran for elected positions in student government. I was always the complete underdog to the kids who had lived in the same place for many years and who had a large network of friends they had known their entire life. I was an outsider. I lost often. But it didn’t bother me to lose because my belief in myself – the belief that I had no limits – was ingrained in who I was as a person. And as I entered into my college years, my self-confidence was perhaps at its highest level. I loved sports, but as a high school athlete, I was never extraordinary. I had to work twice as hard to be half as good as most of my peers. I had a great attitude. I had a great work ethic. I had quick feet and I had a great vertical jump. But I don’t recall ever starting a game during my four years on the high school volleyball team. I loved the sport, so when I signed up for my first semester of college, I decided to take a class in it to stay active in athletics. That is where I met my best friend in life and that is where I met my next challenge. After two semesters in this course, I began getting better… much better! The best male players in the class began asking me to join their co-ed teams for tournaments. The more I played with athletes who were more advanced than I was, the more my skills improved. 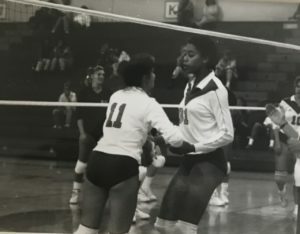 I was a classic “late-bloomer” and by the start of my second year in college, my teammates were telling me that I was good enough to be on the university’s Division 1 team. That year, I made a BIG, brave decision. After I finished Spring finals of my sophomore year, I created a detailed workout to carry me through the summer months. I divided my week into a grid and allocated my time between weight training, 2-mile runs, jump-roping, pushups, sit-ups and running stairs at the local football stadium. I look back at this summer in my mind now with such respect for myself at how I set measurable goals toward my 90-day plan. When August tryouts arrived, they were brutal! We referred to this time as “Hell Week”. Southern California heat. A gymnasium with no air conditioning. Four hours of workouts each day. I was exhausted and every muscle in my body hurt. 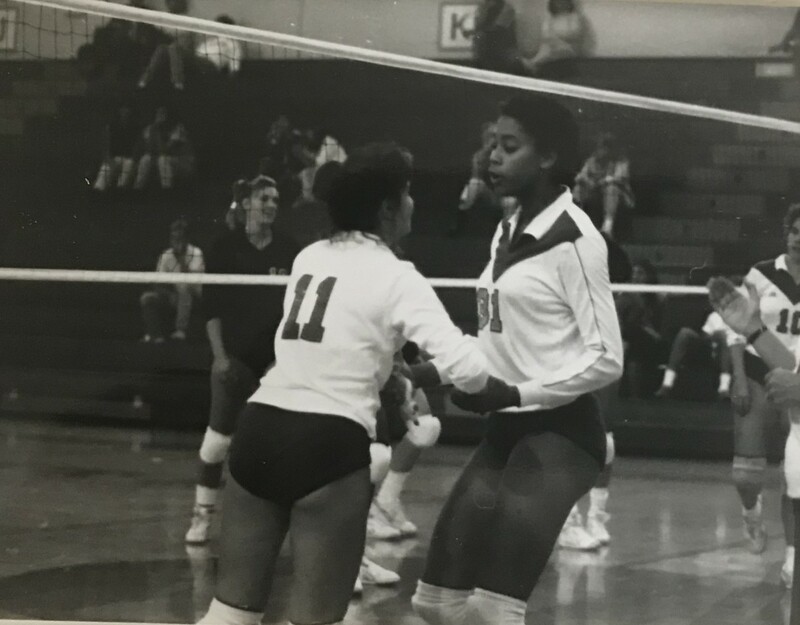 But it was empowering to see that I was just as physically prepared for the tryouts as the other females… and I was better prepared than quite a few players who had scholarships! I was one of the top competitors when it came to testing for pushups and sit-ups and I was proud to make such a good first impression! At the end of Hell Week, I was cut. Reality hit me hard when I didn’t make the team. I was devastated. My confidence level was so high that I only saw success as my eventual outcome. The reality of my defeat was hard to swallow and letting my parents know I didn’t make the cut was painful. Since I attended the college where my father was a professor, I lived at home during my undergraduate years. The day I was cut from the team, I secluded myself in my bedroom for many hours as I tried to accept my failure. I felt suffocated by the pain that encompassed me. But I will never forget my dad coming into my room and hugging me as my tears soaked his shoulders. “I’m so incredibly proud of you,” he told me. And nothing my father ever said was more important than those very words. In a strange turn of events and just a few days later, I had a message that the women’s volleyball coach wanted to see me, so I went to her athletic office for a meeting. She told me she made a mistake when she cut me from the team. Apparently one of the players had just injured herself and the team didn’t have enough players. Would I consider being on the team? Of course, I said YES! My biggest realization here was that failure doesn’t always look like what we think it will look like… and neither does success! I only played on the team for my junior and senior year because I made a choice to catch up and finish my degree in a 5th year of college. After all, I was in school to get a degree, not to play a sport. I gained an internship in Hollywood working in the movie business and then I started working full-time at that job just 48 hours after I received my degree. I worked in Hollywood for two years and decided that writing was my future – I wanted to write screenplays, so I went to graduate school to focus on becoming a better storyteller with the huge goal to take it back to the movie business upon graduation. It was during that time that I fell in love with a handsome, Naval Aviator and we married after a fairy tale romance. I put my dreams of working as a screenwriter on hold to follow my husband’s career around the country. Along the way, six states and three kids later, I lost my story about who I was, what I could achieve and my favorite story from my dad… that I could be anything I wanted to be. Somewhere between the age of 30-50, my story became sort of blurry. You see I can put all kinds of detail into my story prior to then. It was clear and concise and my confidence momentum continued to soar. 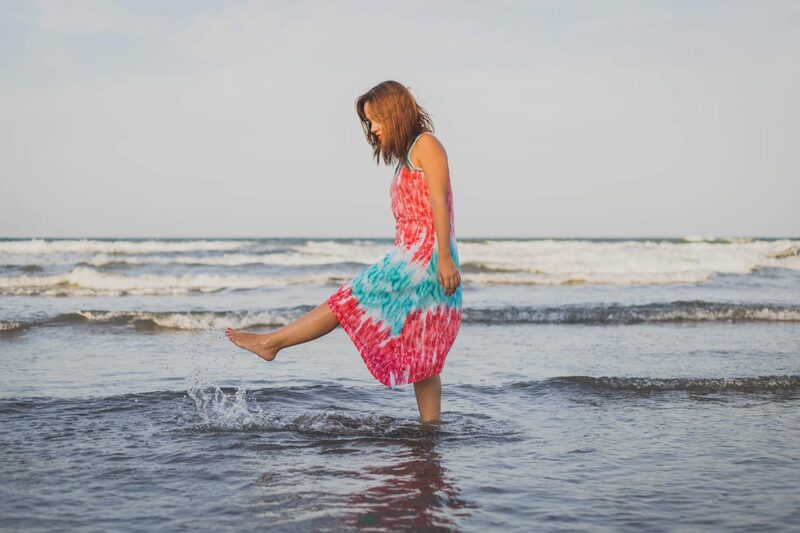 But along the route of motherhood – my most difficult and rewarding job – my identity and my story of who I am took a backseat because I chose that narrative. I spent my 30s raising my babies. I was more interested in first steps and first words and cataloging and documenting the growing stories of my three beautiful children and who they would someday become. The world of possibilities for what they would someday create felt limitless and I embraced that wide-eyed view that I’m sure my parents must have held for me, as well. 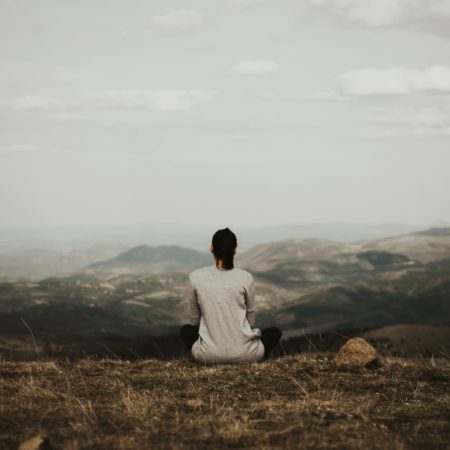 By the time my 40th birthday arrived, I was already sinking into a pit of grief that would continue to define the next decade of my life after losing my beloved grandmother, my cousin’s first-born son and my sweet father. But on a whim and right before my 49th birthday, I started my makeup business and started changing my makeup – lip color, eye shadow, foundation. 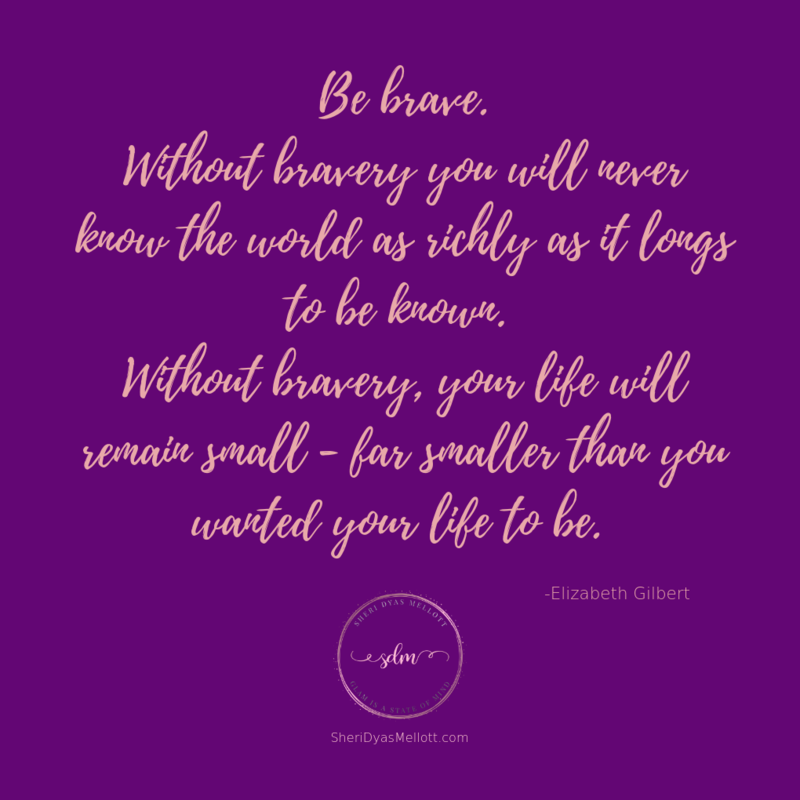 I took little steps – baby steps – that soon led to bigger, bolder steps. I started taking photos of myself. Selfies. Photos to show one makeup look after another. I started paying more attention to how I looked on the outside because it made me feel good on the inside. Soon I started finding myself again… and that’s where I found my story again. For two decades I used the same makeup (Mac Cosmetics) and put no thought into what I used because it required more effort than I had energy. I always re-ordered the same colors over and over again on a website, never straying from what was familiar and safe. In retrospect, I can now see that I wasn’t just stuck in a makeup rut… I had also been in a mental and emotional rut for all those years. I’d lost who I was, what made me happy, what dreams and goals I’d had for myself, my love for the written word and my love for the art of storytelling. I’d put myself on hold for so long that I almost forgot who I was and what I loved the most about being me. And I forgot my father’s sage advice… you can be anything you want to be. I spent so many years being who everyone else needed me to be that I forgot how to be who I wanted to be for myself. So now at the age of 52, I have finally found myself again. I’ve rediscovered so many things in life that have brought me joy over the years like makeup and writing and the entire creative process of dreaming and goalsetting! I have surrounded myself with people who are doing things I want to do and much like that freshman year of college when I played volleyball with people who were SO MUCH better than me, I am choosing to hang out with other entrepreneurs who are so much smarter and more accomplished than me! Success is contagious! Success leaves crumbs! Success breeds more success! Those stories we tell ourselves – those stories matter. They create our inner voice. They pick us up when we are down. They encourage us when things feel impossible. They keep us going when we fail – when we lose – when we make mistakes. The stories we tell ourselves can make us or break us… but we choose our own thoughts… we choose which story we want to write. We choose which stories give us power. We can focus on stories about our setbacks or our grief or our horrible and damaged past. Or we can focus on how much stronger we are because we overcame tough times. I have plenty of friends who have succeeded despite horrific childhoods – unimaginable setbacks and things I can’t even repeat here – and they are changing the narrative and the plot and rewriting their life story as they move forward. 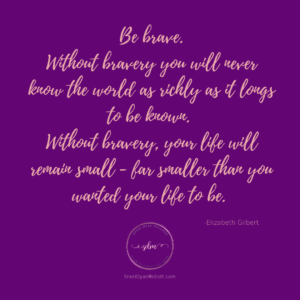 That is where braveness and courage and self-confidence blaze their own beautiful pathway. And that is where personal growth and peace and happiness live. Your age doesn’t matter. You’re never too old. You can always make a change. You can always write a new chapter. You can always edit your story. When I moved away from home for the first time to work in Hollywood, I looked at my father and said “what if I hate it there?” He said it’ll be okay. You can always move back. You can always change. You are never stuck. I think he would be so proud of me now to see that although I slipped into that mindset of feeling “stuck”, I finally made a change! I am finally out of a rut. I am finally refining who I was meant to be. And as a writing professor and a master storyteller himself, he would be so proud that I’m sharing my story. Little did I know that changing makeup and learning to take selfies would be so fulfilling and would lead to so much inner growth, happiness and self-discovery. Little did I know that teaching women how to use makeup with confidence so they can see beauty is ageless would help me embrace and share my own inner stories. Little did I know this journey would help me better accept my own age. This is how I found myself again in my 50s. So how do you find yourself if you’ve felt lost? Or stuck? Or unfulfilled? 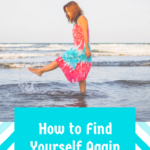 Try these ideas to start moving toward finding yourself again! START WITH YOU! Start something new. Start walking. Start singing. Dancing. Cooking. Gardening. Make one simple change to your daily routine. Do something that makes you feel energized and alive and vibrant. What have you always wanted to try? What have you missed in your life? What makes you happy? Try a new hairstyle – or hair color! Try a new lipstick. Try new eyeshadows. Try using a highlighter or a bronzer. Little change inspires bigger change! Have you ever put spare coins into a jar and then cashed it out after a period of time? It all adds up! Start the momentum now! EXPRESS YOURSELF! You don’t have to write a lot. Some women enjoy journaling. Walk through a bookstore and choose a beautiful new journal to start writing down how you feel. Or look in the App Store and choose a journaling app to add to your smart phone. You can easily type in a few words here and there as you begin to document your daily journey. Or, start sharing snippets of yourself on social media, if you like? 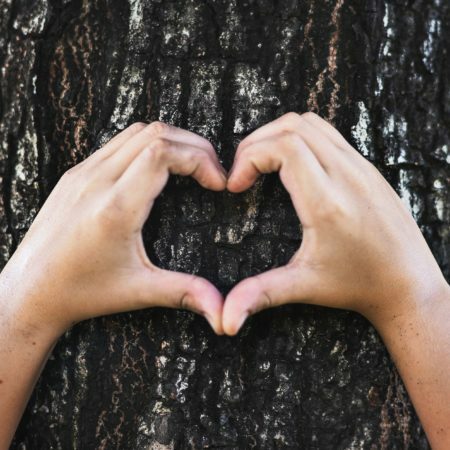 Share your love, your hurt, your grief, your feelings. It’s all part of you… and as you find your voice again, you might just inspire someone else around you who is feeling lost, as well! Start a Pinterest board – pin photos and quotes that make you happy! TAKE SELFIES! Okay let’s be honest… have you ever felt like your friends would “judge” you if you shared a selfie on social media? I get you. I’ve felt that. I worried that friends would un-friend me! But honestly, it has been such a wonderful way for me to find myself again and to embrace my age. For years I hid from the camera. I was afraid I didn’t look good enough to be in a photo – was I overweight? Did my eyes look crooked? Maybe I covered up 2-day old hair with a baseball hat? But one day it hit me – I had no photos to use for a family Christmas card or an annual family calendar that I sent to relatives. I WAS NOT IN ANY PHOTOS! How sad for my husband! How sad for my 3 children! They all deserved to have photos of me! Your family and friends and loved ones all deserve to have photos of YOU, too! Whatever you choose to do, please share your journey with me! 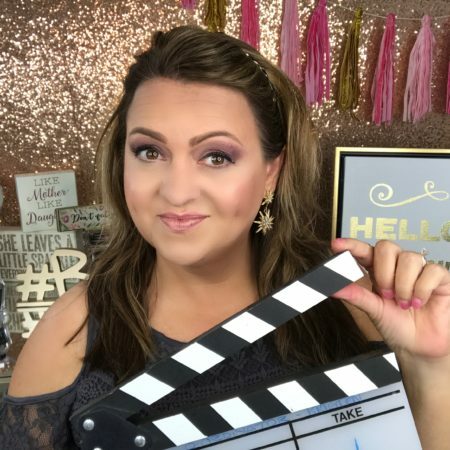 Please connect with me on social media! Send me an email! Comment below to share your stories with me!